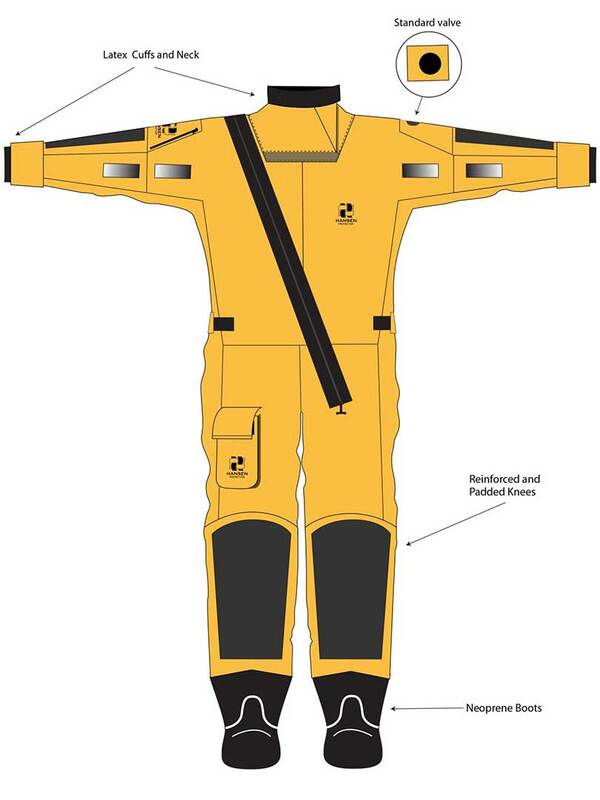 Sea Rescue Mk II is a suit designed for rescue personnel by rescue personnel. 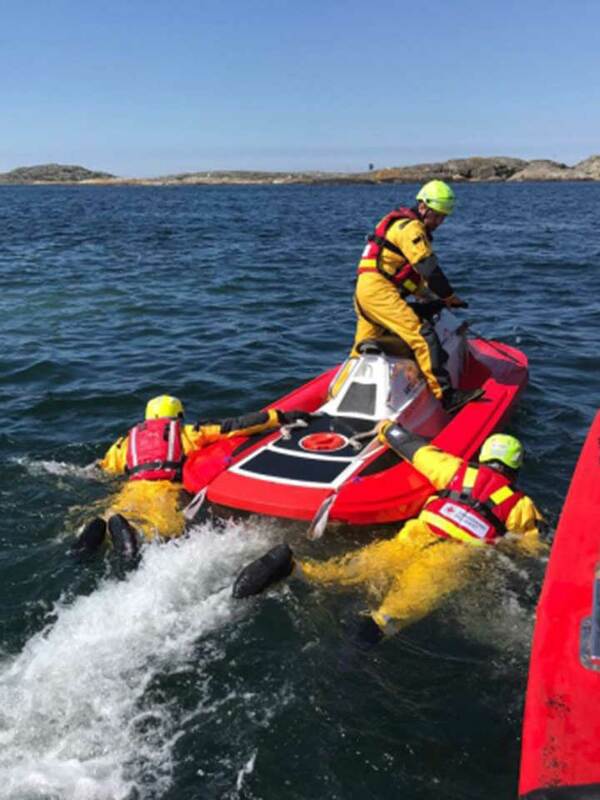 It incorporates several specially designed features for rescue work in rivers, on ice and for rescue swimmers in general. 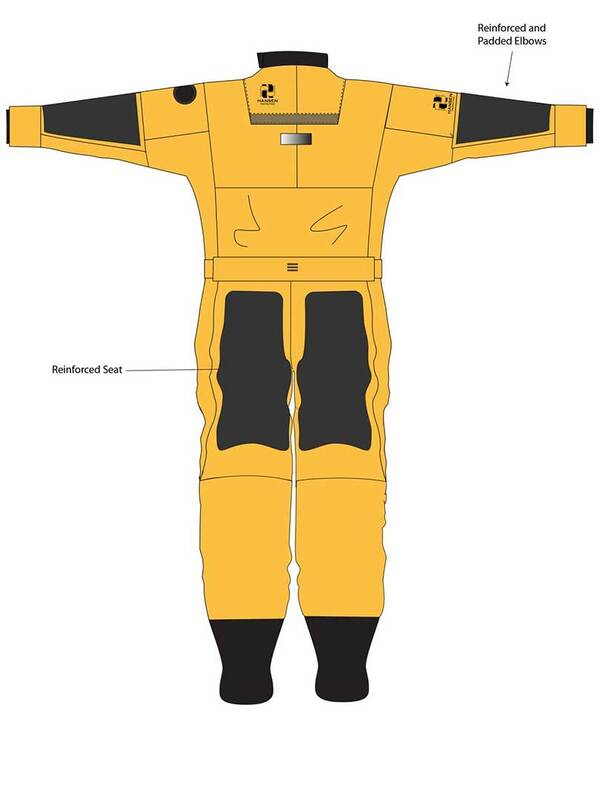 The suit is reinforced in exposed areas such as the knees, seat and elbows. Its unique construction gives the user full freedom of movement. 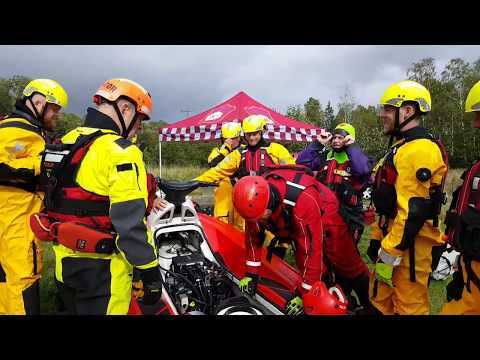 The suit is used by rescue services all over Norway, including 177 fire brigades all around the country. The suit is provided with protected latex neck and cuffs. Its construction and choice of materials make it the market’s lightest and most comfortable suit. 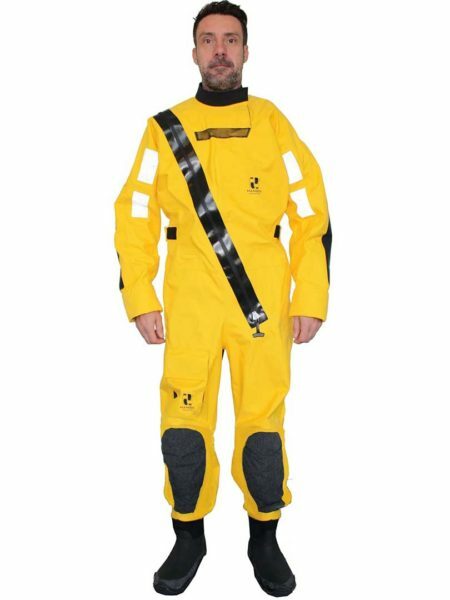 The suit can also be supplied with a specially developed adjustable neck closure that makes the suit much easier and more comfortable to use. Made of waterproof / breathable HP Superlight, 3-layer fabric with proven breathability and good durability. 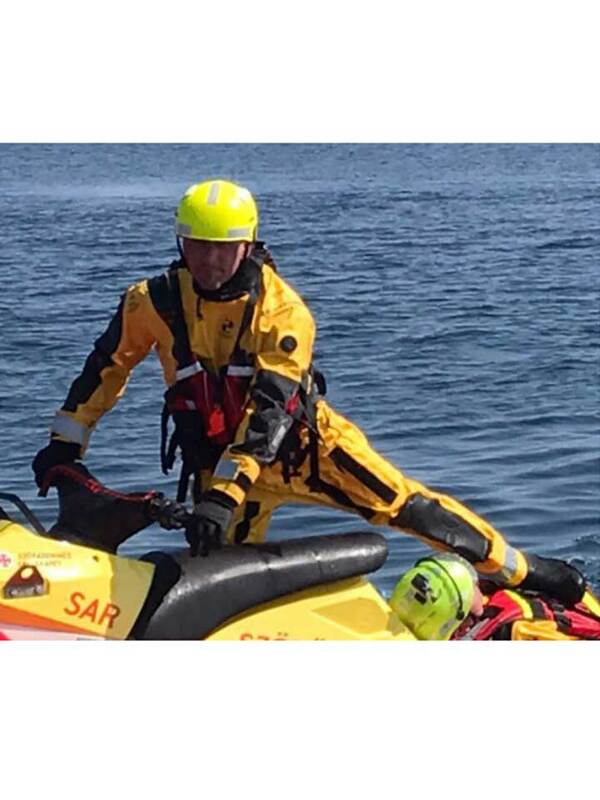 Yellow colour and SOLAS approved reflective patches for good visibility. Robust waterproof diagonal seal in PU that works smoothly (TiZip Masterseal). Detachable inner braces for individual adjustment. Reinforced seat, elbows and knees for maximum durability. Padded shock absorbing material in reinforcements on elbows, knees and legs. Spacious thigh pocket as well as pockets on the sleeves. Neck and sleeve seals in latex for maximum water tightness, and with protective cuffs. Unique construction provides good fit and maximum freedom of movement. Integral rubber and neoprene boots with soft sole for good mobility and protection. Suitable for use with flippers. Strong loop inside for easy hanging when not in use. Automatic valve on sleeve / shoulder ensures maximum evacuation of air from the suit.